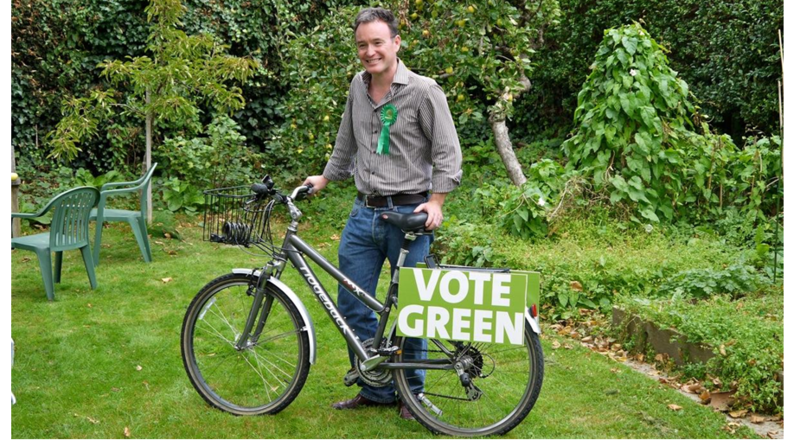 Alexis Rowell for a Greener Camden: Is climate change the reason for the freezing weather? Is climate change the reason for the freezing weather? 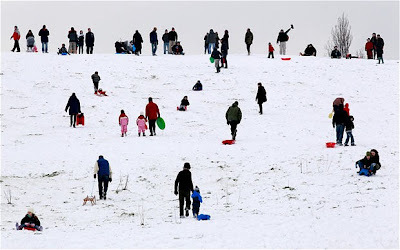 This weekend a good friend of mine ended up in hospital because of a sledging accident on Hampstead Heath. That wouldn't have been possible a few years ago - the UK didn't have enough snowfall in winter for sledging. But for the last few years we've had freezing weather and snow galore. Why? And what, if anything, does it have to do with manmade climate change? I have in the past speculated that since climate change theory predicts wetter winters cold snaps will inevitably lead to more snow. But what if the cold snaps - the Arctic winds - are being caused by the build-up of greenhouse gases in the atmosphere? That's increasingly the conclusion of those working on the science of the Arctic. The ice-free Arctic Ocean, which is warming up faster than the rest of the planet, seems to be creating high pressure systems which are driving cold air into Europe. Read more here in The Independent. Somebody emailed me yesterday to point out that there were heavy snowfalls in 1947, "when we sledged every day after school for weeks", and in 1952, "when games were suspended and we played ice-hockey on the local lake", and in 1963, "when our car had to be towed off the school drive by a digger", and in 1979 "when our removal van was held up in snow for 12 hours, finally unloading by candle light". She concluded: "Why did we all have sledges if there was no snow?" Here's my reply: "Yes, but not every winter and not several times a winter and not because of Arctic winds. I remember a few snowfalls from my childhood but not many since. Average temperatures were colder back then. Not by much but they were colder. And they've been slowly rising over the period you describe. "Back then it snowed because it was cold in the UK but not because Arctic winds were meeting no resistance as they pushed south. If this is what climate scientists now think it is, then the warming Arctic Ocean is going to create zones of high pressure, especially over the Barents Sea, which will make it more common for Arctic winds to reach as far south as us. So it may well happen every winter and quite possibly several times a winter. "But again, the key point is that it's not for the same reasons as the cold spells you remember."